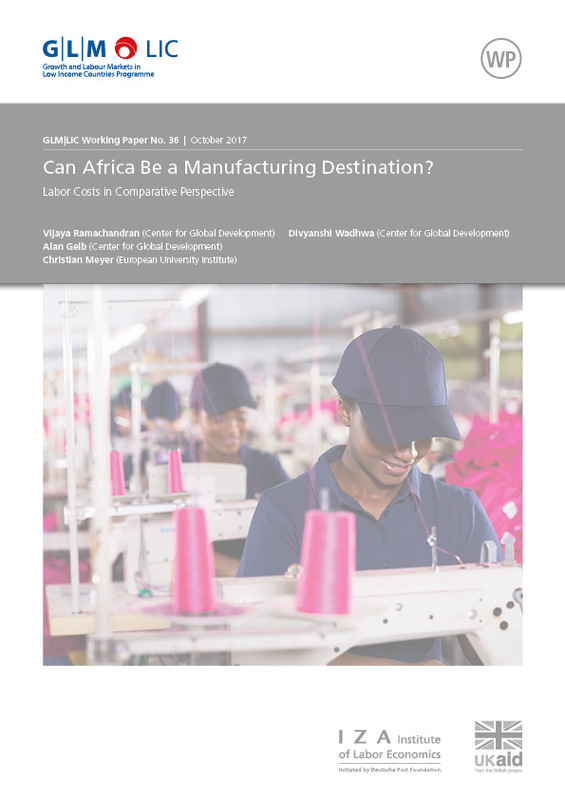 Can Africa Be a Manufacturing Destination? Our central question is whether African countries can break into global manufacturing in a substantial way. Using a newly-constructed panel of firm-level data from the World Bank’s Enterprise Surveys, we look at labor costs in a range of low and middle income countries in Africa and elsewhere. Using fixed effects and random effects models, we estimate a set of labor costs, both actual and hypothetical – what would labor costs for Sub-Saharan African firms look like if they were located outside of Africa? What would Bangladesh’s labor costs be if it was located on the African continent? Our results suggest that for any given level of GDP, labor is more costly for firms that are located in Sub-Saharan Africa. However, we also find that there are a few countries in Africa that, on a labor cost basis, may be potential candidates for manufacturing – Ethiopia in particular stands out. We conclude with thoughts on the future of manufacturing in Africa.